We are happy to welcome our favorite therapy dogs Kodiak and Athena back to the Bentley Library for a “Take a Paws” stress-relief session! 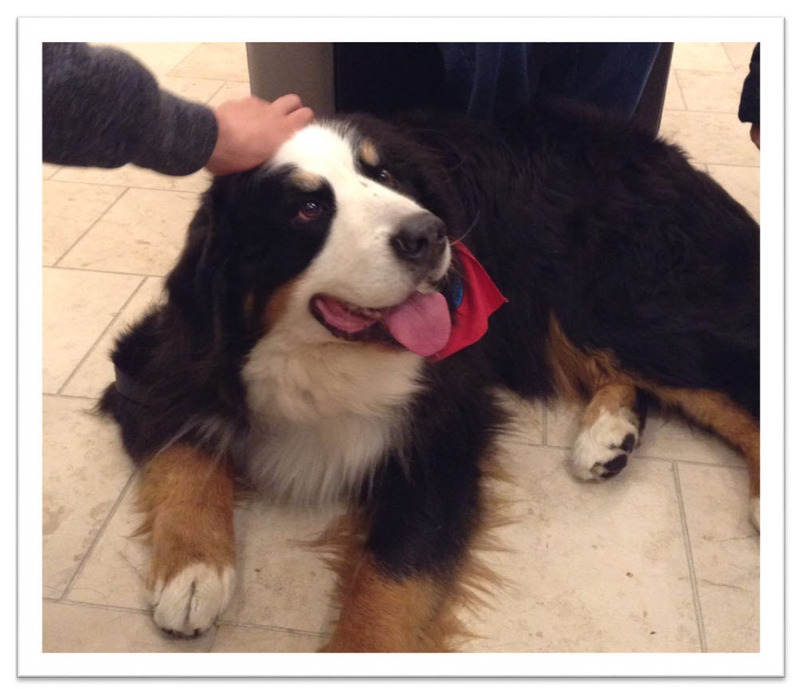 Thanks to the Center for Health and Wellness, you can enjoy some Bernese Mountain Dog love in the art gallery on Monday, December 12, from 3:00 p.m. – 5:00 p.m.
Self-care is especially important during this stressful time of year. We encourage you to visit the art gallery on Monday for your daily dose of dogs and oxytocin! 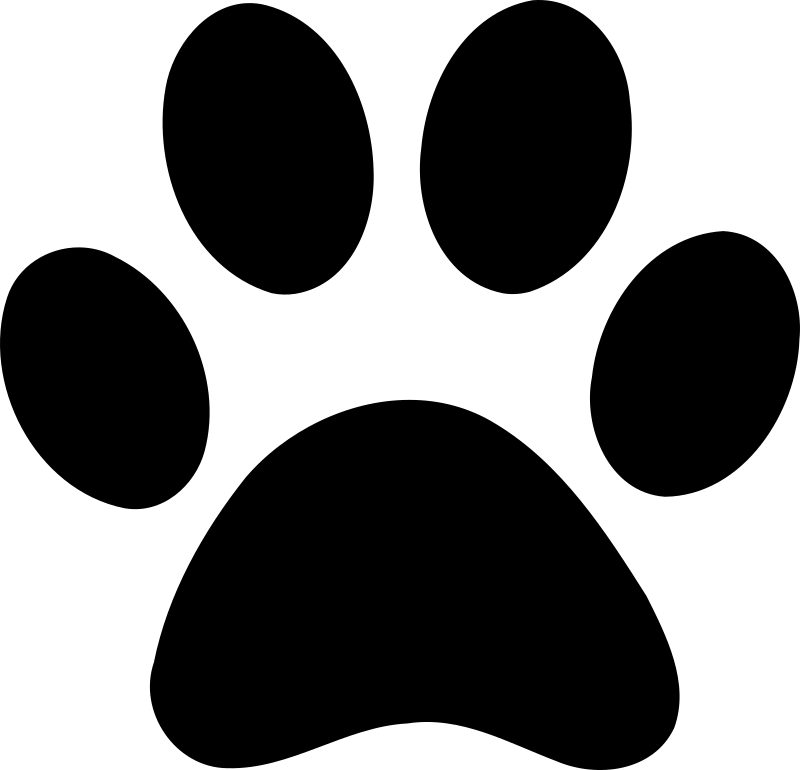 “Take a Paws” at the Library! Visit With Therapy Dogs on Reading Day. The library is excited to host a Take a Paws session on Reading Day. Thanks to the Center for Health and Wellness, therapy dogs will be in the library’s art gallery on Tuesday, December 15th, from 6:00 p.m. – 8:00 p.m.
Don’t just take our word for it, come and see for yourself. 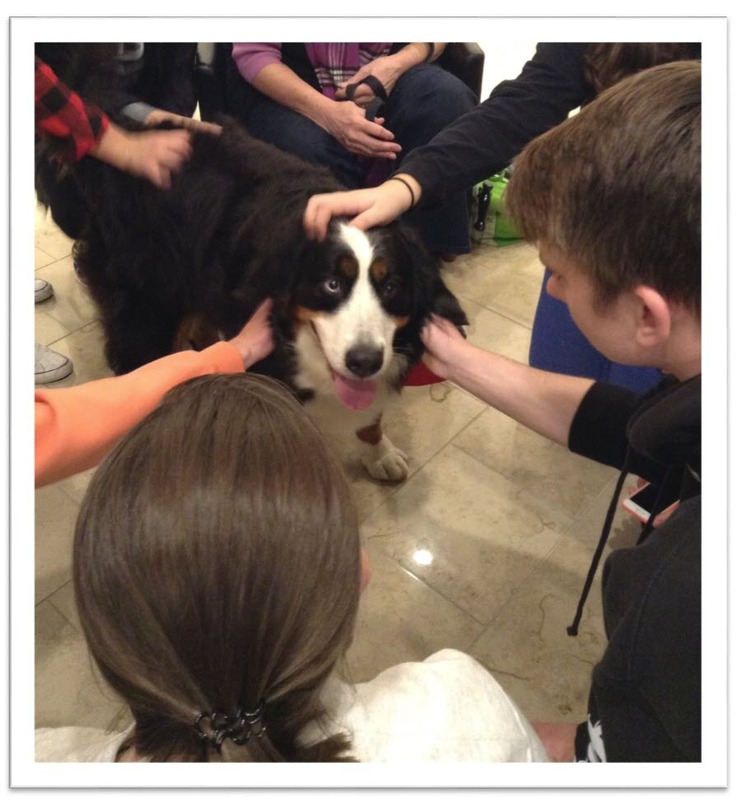 Stop by the library Tuesday evening for your daily dose of dogs (and oxytocin)! The library’s 24-hour access for final exams begins at 7:30 a.m. on Monday, December 14 (the day before Reading Day) and ends at 9:00 p.m. on Tuesday, December 22 (last day of exams). The library will close at 9:00 p.m. Saturday night and reopen at 10:00 a.m. Sunday morning – because everyone should take a little break from studying! The Library is implementing card-swipe access during the overnight hours. 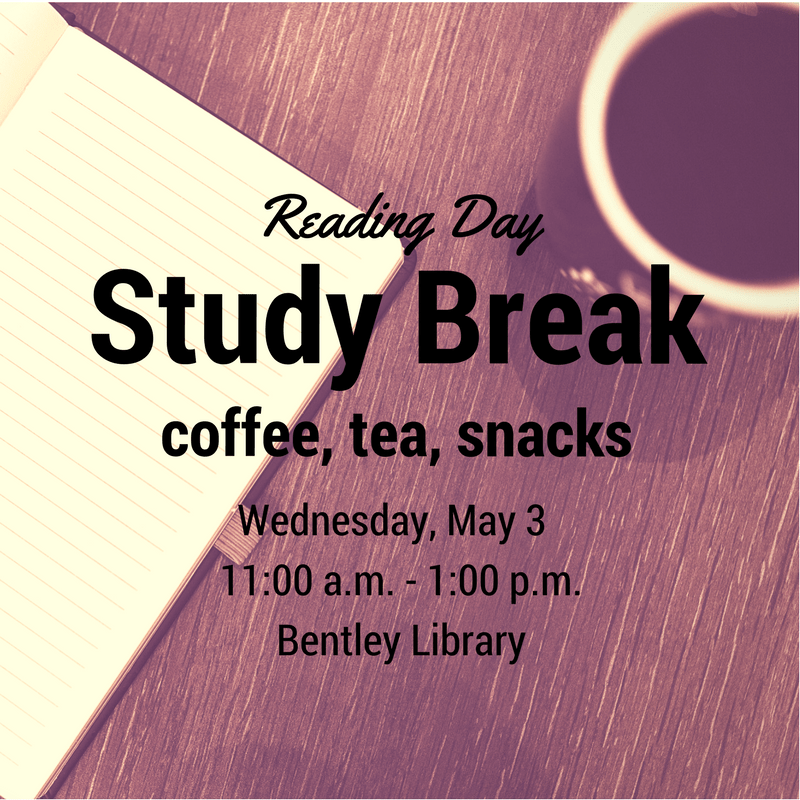 From midnight until 7:30 a.m. Tuesday-Saturday (12/15-12/19), and Sunday-Tuesday (12/20-12/22) only Bentley ID card holders will be able to enter the Library, using the card-swipe box to the left of the building’s front entrance. On Reading Day (Tuesday, December 15) from 6:00 p.m. – 8:00 p.m., a Take a Paws team will be in the Library’s Art Gallery with huggable dogs for some stress-free moments as you prepare for final exams. Come by and enjoy some puppy love! For more information about the library or cafe hours please view the full hours calendar. Best of luck with your finals, and have a wonderful winter break!